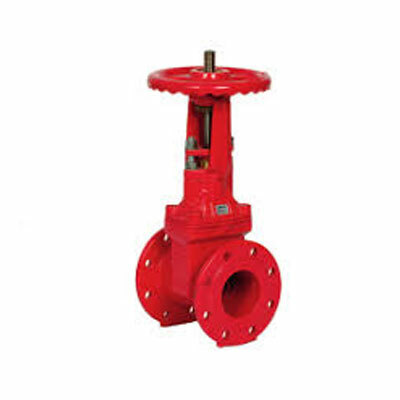 TYCO Resilient-Seated Gate Valves are used in Fire Protection Systems for on/off operation. End connection configurations including Flange by Flange, Flange by Groove, and Groove by Groove are available. The ductile Iron body weighs approximately 50% less than conventional cast iron valves, which allows easier handling on site and reduced shipping costs. The fully encapsulated EPDM ductile iron Wedge ensures bubble-tight sealing. This valve is one of the lightest, most durable gate valves on the market today. Its design features and material selection criteria fulfill the need for a dependable, long life and easy to operate gate valve.